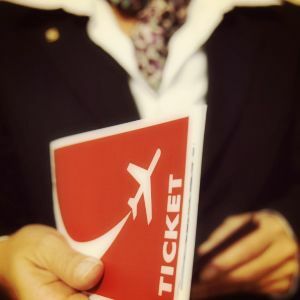 Having a VIP concierge for travel like AssistAnt when you’re short on time will make you think as though you stumbled upon more time in your day; instead of the normal 24 hours, you’ll feel like you have 48 or more hours in a day! How cool is that? That’s because our staff is at your beck and call to get more things accomplished, such as bookings and reservations for hotels, events, clubs, and restaurants just to name a few. This results in an improved work/life balance. Research shows that employees spend up to 30 hours a week performing tasks related to their work environment but don’t always have the time to get those important tasks accomplished. That’s where AssistAnt comes in handy. We specialize in managing and organizing our clients’ lives while they’re on vacation, whether it’s for business or leisure. Do you need to get from Tel Aviv to Jerusalem on short notice? Consider it done! We customize everything that we do – that’s one of our hallmarks; we personalize every errand and task. It’s how we develop long-term, positive relationships, by treating each client like family, as we have done for over a decade. …and so much more. No task or job is too big or too small for us to handle for you! Having some order while you’re having a good time is important. We’ll do all your shopping for you. In addition, we’ll organize getaways and events that will make your vacation a memorable one. We’ll also remind you of important appointments or events so you won’t miss out on anything. Do you need a babysitting service for the children while you attend an adult event? Or do you need to find a caterer for a family gathering? Maybe you need your clothes dry cleaned and returned in a timely manner. Restaurant reservations? Ceremonies and galas? Give us your to-do list, sit back, and relax while your assistant takes care of all bookings and reservations. We understand that time is indeed money; time that’s wasted is also money lost. Therefore, we strive to maximize your time by getting your list of tasks accomplished in a timely manner. All you have to do is make a wish and we’ll make it happen!